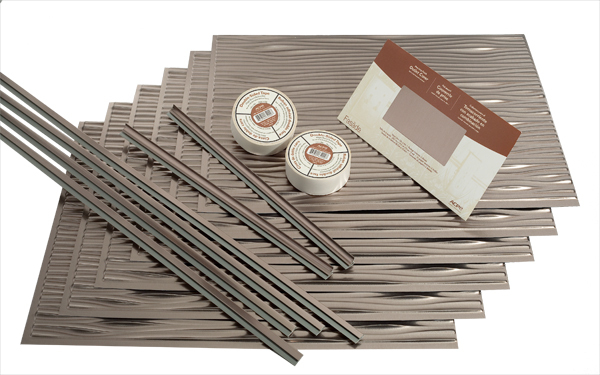 Backsplashideas.com is offering the Fasade Waves in Brushed Nickel backsplash tile project kit for $119, a 20% discount off the regular price. The kit contains enough backsplash and accessories to completely makeover a typical kitchen. Our April promotion gives customers an easy and affordable update to their kitchen with plenty of money left over for a vacation, says Wayne Parmley, company creative director. Backsplashideas.com is offering the Fasade Waves in Brushed Nickel backsplash tile project kit for $119, as part of its April “Tax Refund” promotion. The 20% discounted price is good through April 30, 2012. 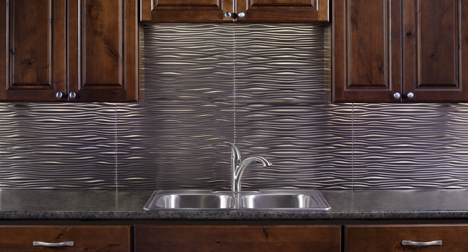 The Waves backsplash features undulating patterns that convey movement and rhythm in a sleek, contemporary design, while the Brushed Nickel finish is the perfect complement to the its dynamic look. The April special is the third in a series of monthly promotions from a campaign that launched in February. The monthly promotions will correlate with the calendar and change on the first of each month, and an aggressive pricing strategy will accompany the online specials. Fasade decorative Kitchen Backsplash Panels are constructed from thermoplastic and are durable, corrosion-resistant and easy to cut. They will not rust or stain, and are impact, mildew, mold and water-resistant. These backsplashes present an affordable, do-it-yourself, weekend project that will refresh your kitchen or bath stylishly and affordably. BacksplashIdeas.com offers free shipping and returns every day and takes all major credit cards, Google checkout and PayPal. 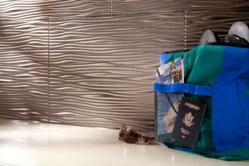 BacksplashIdeas.com is an exclusive online retailer of ACP products. ACP’s products blend ingenuity with style — giving customers finished projects that feature easy installation, quality, affordability and timeless appeal. Company contact information: ACP - 555 Bell Street, Neenah, WI 54956. 800-434-3750.